When all those festive lights are turned off at the end of the holiday season, it’s easy for a do-it-yourselfer to get a little melancholy. After all, boxing up the shimmer and shine can make any room in your home seem a little less bright. 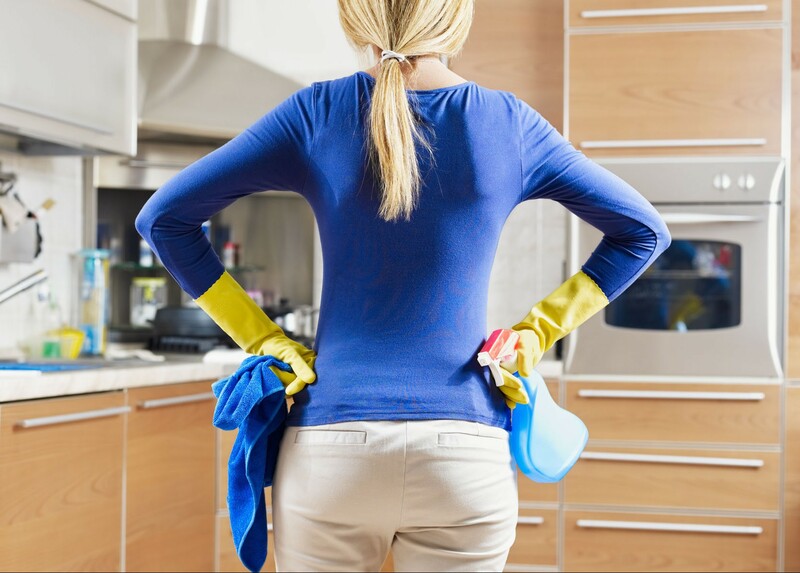 And if you’ve had your fill of crumb-covered buffets, leftovers in the ‘fridge, overflowing trash cans and more dirty dishes than the dishwasher can hold after celebrating, you’re in for a treat – because it’s easy to turn your post-holiday clean-up into a fresh start for your home. Not only that, you’ll already be preparing for next year’s festivities! Decide on a deadline for taking down the tree and storing holiday decorations. Whether it’s New Year’s Day or a week after New Year’s Day, it helps keep you focused on your clean-up efforts. Purge holiday decorations of things that are no longer of use before boxing everything up for the season. Consider buying color-coded storage bins for different kinds of decorations. For example, red for Christmas, pink for Valentine’s Day, light green for Easter, orange for Halloween. This way, you won’t have to open each box to see what’s inside come next holiday. Box up decorations by room or area rather than type. You may have several different holiday displays for mantles, living room, foyer, etc. Next year when it’s time to decorate, you can pull out one or two storage totes and have everything available to re-create those looks quickly and easily. Rather than storing ornaments and other decorations in the boxes they come in, wrap each in recycled wrapping paper and place in a larger container. Wrap Christmas lights around the wrapping paper tubes. Use tree skirts and other large pieces of material such as table cloths at the bottom of storage bins for added protection. Lots of homeowners remove regular pieces of furniture and home décor to make room for Christmas trees and other decorations. Before arranging rooms back to normal, give the carpets a good vacuuming and check them – and your furniture – for stains. If you spot any, clean immediately. Vacuum drapes and curtains, and clean windows before the furniture is re-set. Repair and/or polish wood pieces before lamps and other room décor are replaced. Make next year’s baking and cooking clean-up easier by lining baking sheets with silicone baking mats and broiling pans with foil beforehand. Decrease clutter in the kitchen by rotating new gifts and gadgets with the tried and true ones. Turn the dishwasher on before your go to bed and unload it in the morning, so it’s empty before guests arrive. Line trash cans with several clean bags, which will already be ready for more trash once you remove a full one. Our expert staff is always on hand to help you with any kind of clean-up project. From vacuums to carpet cleaners, if you have any questions about what to choose, pricing or how-tos, don’t hesitate to contact us. Stop by our store — we’re open seven days a week.